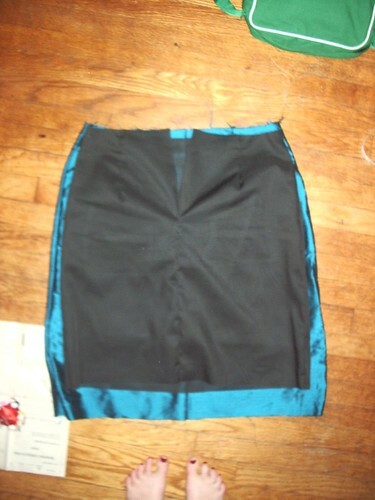 first I sewed the outside just like I had the purple skirt. I stopped before I put in the waistband. it was a little too small, so I took out the darts and it was perfect. Then I sewed it all together with the waistband, and basted the lining to the zipper so it’s all together. and I ironed it and finished the hem and tacked down the waistband. 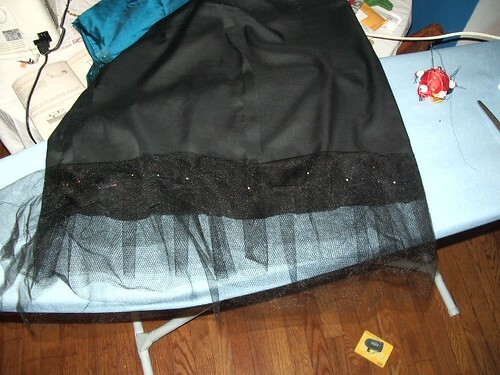 I tried to put net down first, and then 2 layers of the tulle/gauzy stuff (one as long as the net, one longer). if it weren’t so hard I might tweak it, but it’s good enough for me/now. it really took a long time to manhandle all the materials down into place! I am SO GLAD to be done. two skirts in one week is a lot of sewing! 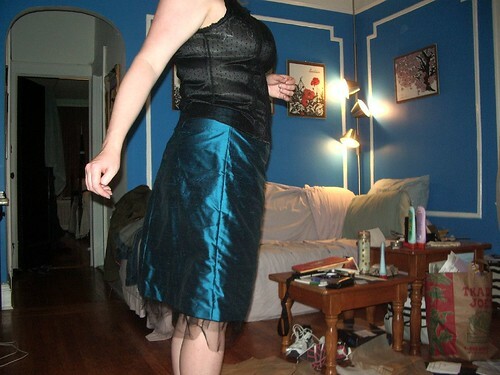 This one took 2 nights, which makes sense b/c I was essentially sewing two skirts. and now, it’s off to bed. I am worn out. This entry was posted in all posts, buy vs. make, crafts, sewing. Bookmark the permalink. gorgeous! that color is divine, and totally perfect for you! congrats! 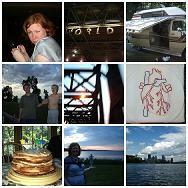 That looks so awesome – werar it well and play lots of craps and buy lots of art. I’m so so bummed that I can’t be there. 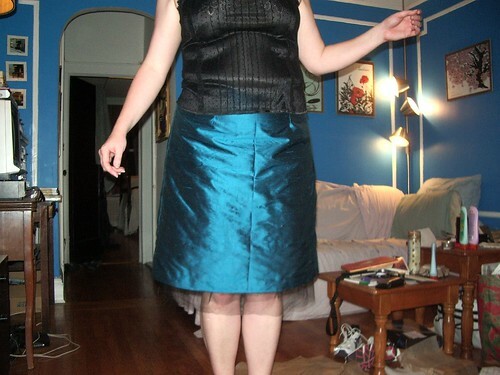 But, I am glad I won’t have to compete with you and your excellent handmade skirt. Well done!! I am very impressed! Have a great time on Saturday! thanks ladies! 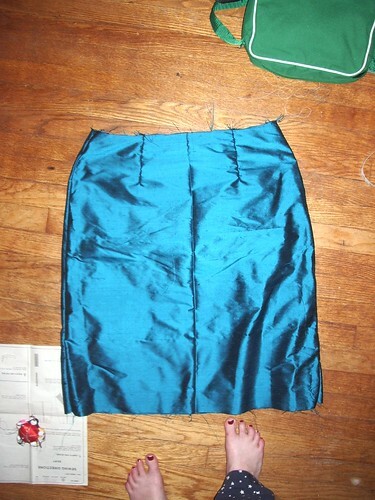 and now I will commence the wearing of the silk skirt to every single holiday event I am invited to! TOTALLY AWESOME!!! and i didn’t think you could get more beautiful!! !